We've all seen the television commercials for prescription drugs. With their seemingly endless list of side effects, some worse than the condition they purport to treat, they would be funny if they weren't so disturbing. Zoloft is one such medication and has it's own list of side-effects including the one we will discuss today—insomnia. Zoloft (Sertraline hydrochloride) is prescribed for the treatment of depression, obsessive compulsive disorder (OCD), social anxiety disorder, and premenstrual dysphoric disorders (PMDD). Studies have demonstrated a link between zoloft and insomnia with about a third of users experiencing symptoms. This was more pronounced among patients being treated for OCD, but less (about 10%) for women being treated for (PMDD). Let's take a look at some of the issues facing Zoloft users. What Is The Connection Between Zoloft And Insomnia? How Can I Deal With Insomnia Caused By Zoloft? How Long Will The Insomnia Caused by Zoloft Last? The overwhelming number of patients reported symptoms of insomnia the connection between Zoloft and insomnia is clear. While some patients experience difficulty getting to sleep other symptoms may include waking up early or frequently throughout the night. The main reason for this is that Zoloft is a selective serotonin reuptake inhibitor (SSRI), which helps make more serotonin available in the brain resulting in improved mood and a feeling of increased energy. While this is great during the day it does cause problems when it's time for bed. The main ways to deal with insomnia caused by Zoloft are related to sleep hygiene. For example, not drinking anything with caffeine several hours before bed, having a wind-down time with less stimulating activities and dimming the lights to encourage melatonin production leading up to bed time. If these measures are not sufficient patients can discuss other options with their doctor. There are many over-the-counter and prescription sleep aids available. While long-term use of sleep aid medications is not generally recommended it may be helpful in allowing the patient to adjust to the Zoloft when they at first begin taking it. The symptoms of insomnia after taking Zoloft often begin to diminish after a few weeks. The symptoms may not disappear but will hopefully be reduced to a manageable level. However, others do continue to experience insomnia as long as they continue to take Zoloft. If this continues to be a problem your doctor may prescribe a low dose of an antidepressant that has a sedating effect, like Trazodone. Of course, many of us are not comfortable having to take SSRIs long-term, let alone having to also take sleep medications to deal with the attendant insomnia. This provides added motivation to find non-drug solutions to both the initial reason for taking Zoloft and for dealing with insomnia. However, never abruptly quit taking any SSRI like Zoloft. Always consult your doctor and follow their guidelines to gradually reduce the dosage in order to come off Zoloft safely. 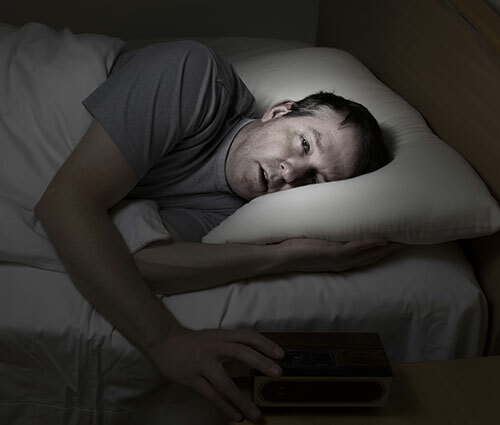 So, while there is a definite connection between Zoloft and insomnia it is possible to find ways to alleviate the symptoms from improved sleep hygiene to medications (both over-the-counter and prescribed). While the insomnia may be short-lived or long-term a non-drug solution may be preferable. If you are taking Zoloft and insomnia is one of the side effects you are experiencing be sure to discuss the issue with your doctor. There are solutions available but, as always, when dealing with prescription medications you will want to be making an informed decision.